Virginia TECH represents the universities on the EAST COAST of the United States. It is a typical school engaged in English language manipulation. They work closely with Madison Avenue marketing and advertising language manipulate ...... their goal is to manipulate the thoughts of HUMAN organic chemistry molecules --> social chemistry behavior and molecule social philosophy POLICIES and LIMITS. Consequently, we see Nature's systems defend Nature's human investment and its molecular SYMBOL language investments . Nature's organic molecule continuum is composed of hydrocarbons and their expressions ... such as humanoid structures comprised of carbon and hydrogen atoms that use the mouth ORGAN --> to speak ORGANIC chemistry social science words and verBAL bio-computer commands to other humanoid hydrocarbon aggregates. BAL = Basic Assembler Language..... that processing language was used by the bio-computer people in the BALKAN BAL wars under President Clinton. Therefore atoms and molecules are the origin of thought. Let's look at organic chemistry molecules ... C = Carbon and H = Hydrogen atom. C-H Bond Functionalization in Complex Organic Synthesis. Professor Dalibor Sames. Department of Chemistry, Columbia University. 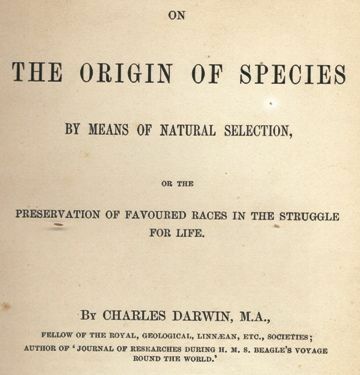 New York, NY 10027, USA ..
On the Origin of Species is a work of scientific literature by CH bonds to the English language SYMBOL MACHINE. Organic compounds can be grouped into families by their common structural features. the Kennedy family compound in Hyannis Port, Mass --> I/O data PORT molecule MASS . Thus we see Nature's level of expression ...VIA Nature's organic molecule INTELLECT system and its molecule social engineering projects ---> project output --> various human social expressions and political structures..
Let's look at Nature's new, virgin military organic molecule LANGUAGE technology display ..... at the appropriate EARTH location of Virginia TECH university ..... one of several DEMO sites in Nature's version of DARPA ...advanced projects agency in REALITY and awareness. Let's look at the organic chemistry background of human molecule code: MR.CHO --> M R CHO ---> Molecule R CHO. with the structure R-CHO, consists of a carbonyl center ... Aldehydes have properties that are diverse and that depend on the remainder of the molecule. known in social chemistry as MR.CHO ...... a organic molecule humanoid that speaks and writes Nature's new, virgin molecule ENGLISH language VERSUS the Virginia TECH INTELLECTUAL fantasy island social science languages. Aldehydes are organic molecules, which means they are made from carbon atoms. They can be differentiated from other organic molecules because they contain an aldehyde, or formyl, group. This group is made up of a carbon atom that is attached to a hydrogen atom and an oxygen atom by a single bond and double bond, respectively. Aldehydes are just one of the many different types of organic molecules and compounds. They differ greatly in their physical properties, and are often formed by the oxidation of an alcohol. Ketones and aldehydes are very similar in that they both have carbon atoms double bonded to oxygen — these are called carbonyl groups. Aldehydes can be differentiated from ketones based on where the carbonyl group is found. It is found at the end of the molecule in an aldehyde, while within the ketone molecule the carbonyl group is found between two other carbon atoms. The chemical formula for aldehydes is R-CHO, where R represents the rest of the molecule that is attached to the carbon of the aldehyde group through a single bond. Aldehydes are very common compounds, and the simplest is formaldehyde. What Is an Alde..... hyde? What Is an Alde... hyde? 655 × 470 - american-buddha. Perhaps, East Coast universities may wish to upgrade their brain cells with some additional knowledge. Nature has a huge investment in its systems ...... and Nature is not happy with the INTELLECTUAL bull-stories and incomplete explanations given for the tragic EVENT. Universities are misleadng the general public and misleading students with their smug arrogant song-and-dance , their attitude problems, and their complete failure to help understand these complex tragic SIGNALS. The university has graduate students and professorsthat could help research these things. They are not allowed to help understand the SCIENCE WARS that started around 1995/1996 with the Alan Sokal announcement about the ARCH DUKE Ferdinand project gravity/ ferrous oxide IRON atom interaction problems with Duke University iron HEME group Fe(ii) ion humanoids engaged in social science communications. Thus you have a few pieces to the puzzle about the modern world of organic molecule social behavior and thought expressions.